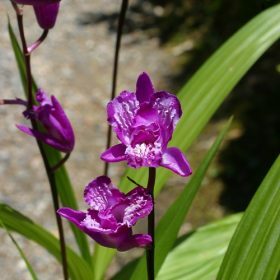 Bletilla are gorgeous hardy orchids, striata has attractive deep purplish pink flowers on short stems. 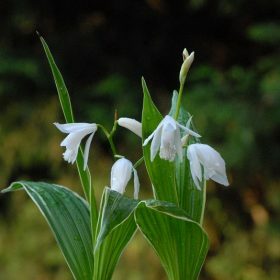 Bletilla striata alba has pure white flowers and is variegated with green/white foliage. 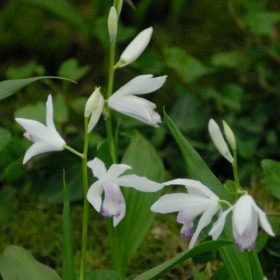 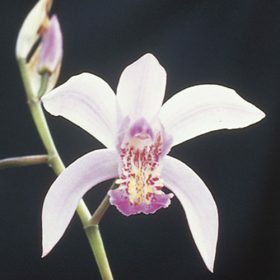 Bletilla striata kuchi-beni produces a lovely pale pink to creamy pinkish white with a purple lip.